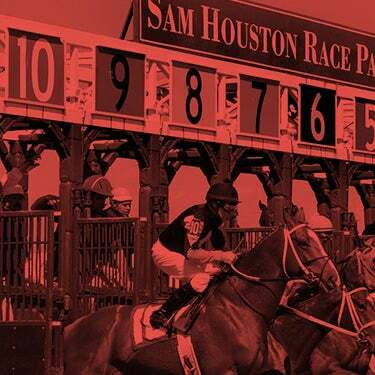 The 2016 American Quarter Horse racing season gets underway at Sam Houston Race Park on Friday, March 25. Opening night will honor the men and women who serve our country with Military Appreciation Night offering FREE admission for Military with valid ID. The festivities will include a live National Anthem performance and a flyover. Gates open at 5:30 with the popular 50 Cent Beer Special EVERY Friday from 6-9 pm. 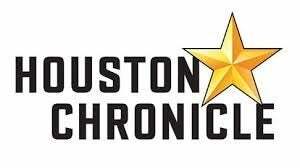 Live racing gets underway at 7:00 pm with trials for the Bank of America Challenge Championship as well as the first stakes of the live racing season, the $20,000 Harris County Stakes. Saturday is Dollar Day with $1 admission, live racing programs, hot dogs, soda and draft beer (from 4:30-10:00pm), and pony rides. The evening card will feature 11 trials for the Sam Houston Maiden Classic. Of course, fans are invited to come earlier for a fantastic day of simulcasting, Gates will open at 7:00 am for the Dubai World Cup featuring 2014 Kentucky Derby champion California Chrome competing in the $10 million Dubai World Cup at Meydan Racecourse. This year's Derby winner could emerge from the $1 million Louisiana Derby, which runs Saturday afternoon at Fair Grounds. Sam Houston Race Park will once again participate in the Bank of America Racing Challenge, with regional winners from all over the United States, Canada and Mexico earning berths to final competition each year. On Friday night, there will be three trials for $95,000 Bank of America Texas Challenge Championship (G1) and several notable runners will compete at the "classic" distance of 440 yards. The first trial, to be run as race seven, drew seven runners, with Rc Me Leaving You installed at odds of 5-2. Conditioned by Judd Kearl, who has won six leading trainer titles at Sam Houston, the 4-year-old Rc Me Leaving You ran third in the $416,000 Texas Classic Derby last November at Lone Star Park, and placed in two stakes earlier this year at Hialeah Park. Rodrigo Vallejo will ride for owners Bennie and Terri Jeter. The second trial features a very competitive field including D &S Racing's Exquisite Stride. The son of Carters Cartel ran fourth in the $2.6 million All American Futurity in 2014 at Ruidoso Downs and captured the Evangeline Derby last November. Trainer Michael Taylor gave the mount to the resurgent Joe Badilla, Jr. He will face several key rivals including Ted G. Abrams homebred Jessies First Down, runner-up in last year's Bank of America Texas Challenge. Trained by Kearl, Jessies First Down ships here off a victory in the $300,000 Miami Dade Stakes at Hialeah on February 28. The field also includes multiple-stakes winner All Out Arrogant, from the barn of Patrick Clemons. Bred in California, the 6-year-old son of Fdd Dynasty will be ridden by Luciano Duenez. This trial also marks the comeback for Stimulus, bred by Jerry Windham, winner of the 2014 Bank of America Challenge Championship. The winner of six races and $305,455 in purse, had surgery last year and did not compete in 2015. New owner Jose Hernandez sent the son of Mr Jess Perry to Bobby Martinez earlier this year. "He's been training well and we hope for a good race on Friday," said Martinez, who will give a let up to rider Manuel Gutierrez. Friday's final trial features the return of 2014 AQHA world champion, Jrc Callas First for Dana and Brian Stroud. The Texas-bred son of Winners Award is the pride and joy of the Strouds with 15 wins from 25 starts and earnings of $549,931. Last year he won four consecutive stakes, capping his campaign with a second-place finisih in the $350,000 Championship at Sunland Park. He's had a short rest and has been training well for his return to Sam Houston Race Park. "He had a little break and is doing well," said Stroud. "Our plan is to get him qualified for the Bank of America Challenge Championship at Los Alamitos, and hopefully get a shot in the Champion of Champions. We're ready to see how he runs Friday." Ricardo Aguirre will ride Jrc Callas First, who is the 9-5 choice in the final trial. The ten fastest qualifiers will return for the final on April 16 and the winner will represent Sam Houston Race Park in the $350,000 Bank of America Challenge Championship (G1), which will take place in October at Los Alamitos Race Course. The first stakes of the Quarter Horse racing season is the 550-yard Harris County Stakes. Nine runners are entered, with last year's runner-up, The Field Cricket installed at odds of 7-2. Claud R. Denson owns the 8-year-old Texas-bred, who has won 10 of his 41 career starts. Trainer Jesse Yoakum has given the mount to his son, Jerry Lee Yoakum who will break from post position six. His rivals will include Sophies Special, trained by Kie Mushinski; and stakes-placed Bling Bling Bok, bred, owned and trained by John Boegner. Trainer Judd Kearl, who won the 2016 training title at Hialeah Park, will run Daring And Dashing, a 5-year-old son of First Down Dash. Kearl's first-call rider, Rodrigo Vallejo, will pilot the Texas-bred allowance winner for owners Triple K Farms. Friday will mark the Sam Houston Race Park training debut for Amanda Buchanan-Hadley, who will saddle Dublin Down, a 6-year-old son of First Down Dash, owned by her mom, Iris Buchanan. Amanda is the daughter of Iris and John Buchanan, who has been a prominent Quarter Horse conditioner for over three decades. Earlier this year, she took a string of 14 Quarter Horses to Louisiana Downs and won two races on the opening day card. "This will be fun for me," said Amanda. 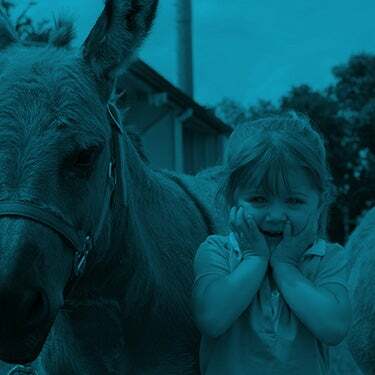 "It's a family affair and we have some really nice horses." Of course, she is in very close contact with her dad, who according to Amanda, is both an excellent "horse hauler" and an exceptional advisor. Amanda is married to Quarter Horse jockey Russel Hadley, currently riding at Remington Park. The Hadleys are proud parents of daughter, Brix, who at 16 months, is very active, totally fearless and already very comfortable around horses. The Harris County Stakes will run as the tenth race on the Friday night card. Each of the eleven races on Saturday evening card are trials for the Sam Houston Maiden Classic. Trainer Joel Garza will saddle seven entrants and Angel Sanchez has six running in the 350-yard trials. The fastest ten qualifiers will advance to the final on Saturday, April 9. Last year's winner was the fastest qualifier, El Chinito Boy who clinched his first stakes score for trainer Josue Ponce. 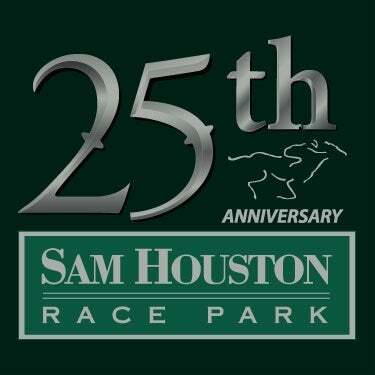 Sam Houston Race Park will add Monday afternoons to its live racing schedule for the 2016 Quarter Horse meet. Post time for Friday evening racing is 7:00 p.m.; Saturday’s card will get underway at 6:00 p.m. and beginning Monday, March 28, the live racing program will begin at 1:00 p.m.